This is going to be a review from Mooney Farms. They sent me over 6 of their best selling items. I will start with their jar items. They sent me over their Sun Dried Tomatoes in Olive Oil & Herbs - Halves $4.99, Sun Dried Tomatoes in Olive Oil & Herbs - Julienne Cut $4.99, Sun Dried Tomato Pesto with whole pinenuts $4.99, and Sun Dried Tomato Bruschetta with Italian Basil $4.99. These are really good I have used them in my pasta sauce, salads and anything that you want a bit of fresh tomato flavor in. Next they sent their California Sun Dried Tomatoes Julienne Cut with Italian Basil 3.5oz bag $2.99 and their California Sun Dried Tomatoes Julienne Cut with Zesty Peppers 3.5oz bag $2.99 . These are really good and on their web site they have alot of recipes that you can use with these items. There is definitely something for everyone who love tomatoes out there. When I added them to my pasta sauce they blended right in and cooked up very nicely. Please visit them on Facebook and Twitter. 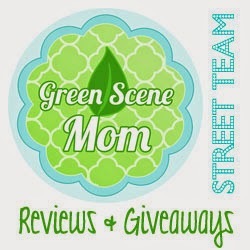 New follower from the not so moody monday blog hop! Hope you'll visit www.stacyssavings.com!